While funeral homes are not healthcare facilities, they require the same waste management procedures since they generate medical waste. As a funeral director, you have personal responsibility for properly disposing of all waste generated by your funeral home. You and your employees must take the time to correctly identify medical waste. State and federal regulations governing the handling, storage, and disposal of chemicals, such as those used in the embalming process, must be followed in order to maintain compliance and avoid endangering human health. 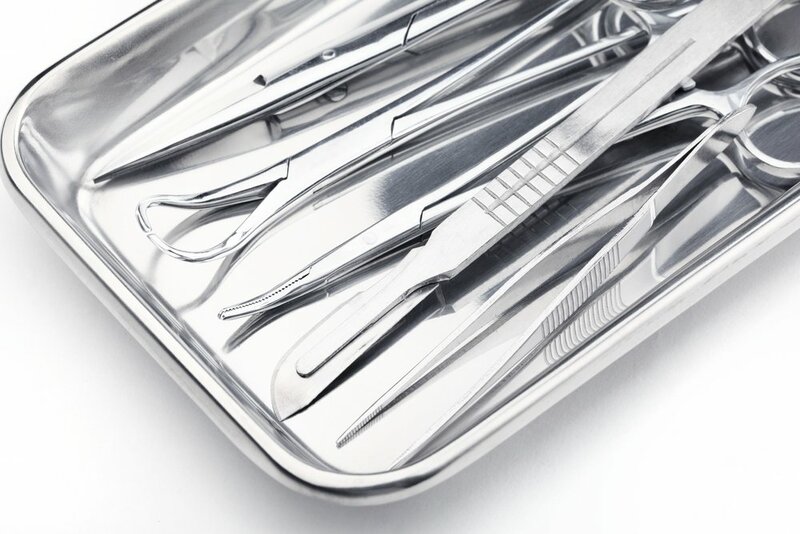 Let’s take a look at some common types of funeral home medical waste and how proper management can reduce health and regulatory risks. As the generator of the waste, you are responsible for it until it is rendered harmless. This cradle-to-grave liability is a fact that some waste generators forget. From the moment your funeral home generated medical waste, that waste is ultimately your responsibility —including its disposal. Even if you hire a medical waste disposal company to transport and dispose of your waste, you are still liable for any failure on their part to follow the law. This includes items that can carry tissue, blood, and bodily fluids—posing a health risk if they are not properly discarded. Sometimes, other items accompany the deceased, such as vials containing chemotherapy drugs. Drugs that are brought with the body or ports that are removed as part of the embalming process present a hazard to anyone who might come in accidental contact with them. Such materials must be segmented and properly disposed in a biohazardous container. Pathogens (such as blood and bodily fluids) must be stored in leak-proof containers to prevent spillage. This waste is so toxic and dangerous, it must be incinerated once it leaves your facility and should never be disposed with other materials. Review the products used and be familiar with the Material Safety Data Sheets for them. Limit the toxicity of the chemicals that are used in the embalming process. Know the required method of disposal of all waste materials produced, including hazardous waste, medical waste, and other wastes that are produced through normal operations. Make sure that any waste disposal company you contract with is licensed and reputable. Know where your waste is taken for disposal and if the disposal facility is compliant. Maintain copies of all waste disposal paperwork, including manifests and the certificate of destruction. Specifically, products that contain solvents or chlorinated compounds (such as gauze or cotton containing them or product residues in empty containers) should never be poured into a sink or drain, commingled with other wastes or tossed into a dumpster, or discharged to the ground. All of your employees who may come in contact with blood or other potentially infectious bodily fluids must receive OSHA bloodborne pathogens (BBP) training. 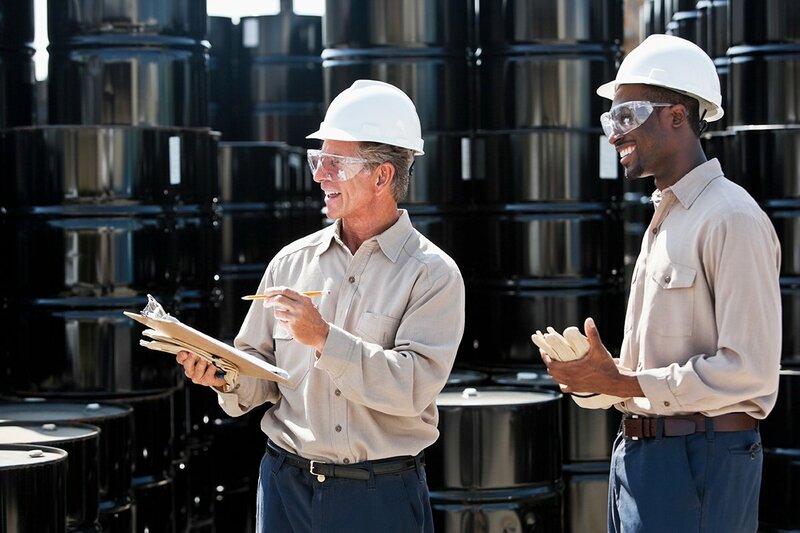 BBP training includes: sharps management, developing and maintaining an exposure control plan, managing RMW disposal, and communicating hazardous conditions to employees. Another important OSHA training program your employees must receive is Personal Protective Equipment (PPE). The training reviews a variety of PPE, including items such as gloves, foot and eye protections, etc. How to dress, wear, and remove it safely to prevent secondary contamination is also covered. Regular training is required and will protect your employees and minimize risk. Your waste services provider can work with you to determine required hazardous waste training for your funeral home. Many companies offer convenient, online training that is economical. Once your waste is properly categorized and collected, it must be properly transported, treated, and disposed. Partnering with a waste service provider who is licensed and up-to-date on all regulatory and compliance issues will ensure that your waste is properly handled. Medical waste management can be complicated. Your waste services company can also help with understanding regulations and training your employees. You can further streamline your operations if you partner with a company that also offers other services such as secure document destruction and electronic waste disposal. The bottom line? Working with a medical waste disposal company requires a high level of trust. You must know that your waste is handled properly, safely, and securely. You should expect the same trustworthiness and dependability that you offer with your services. The funeral profession maintains high standards as it cares for the sanctity of human remains and the spirits of bereaved families. As a funeral director, you are trained to protect yourself, your employees, and your community. Maintaining best practices will safeguard human health and the environment. Partner with a trusted medical waste services provider to help ensure safety and compliance for your funeral home.